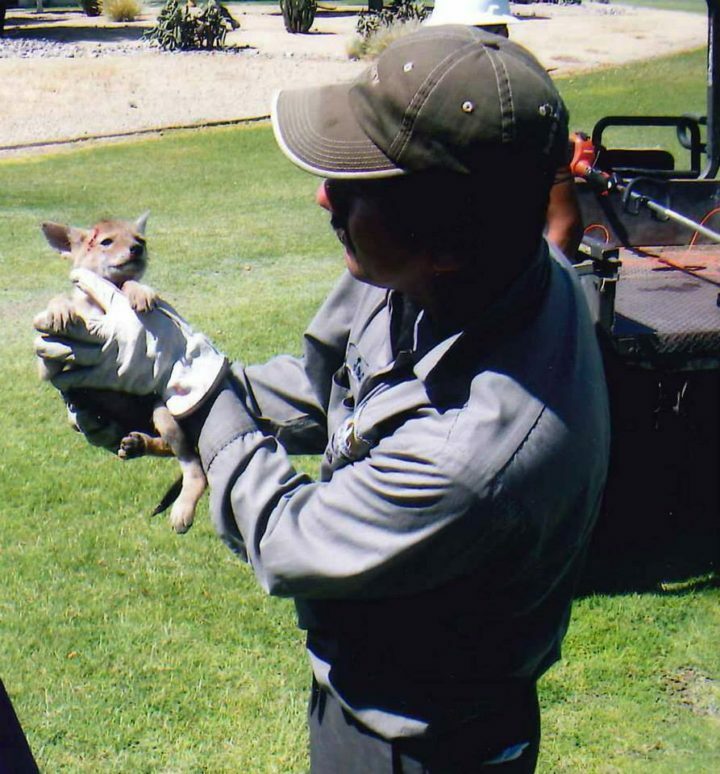 85-Yr-Old Gwen Maxwell was leaving her home, when she saw what appeared to be a puppy crossing the street. From what she could see, the ‘pup’ wasn’t moving very well, so Maxwell decided to take a closer look. 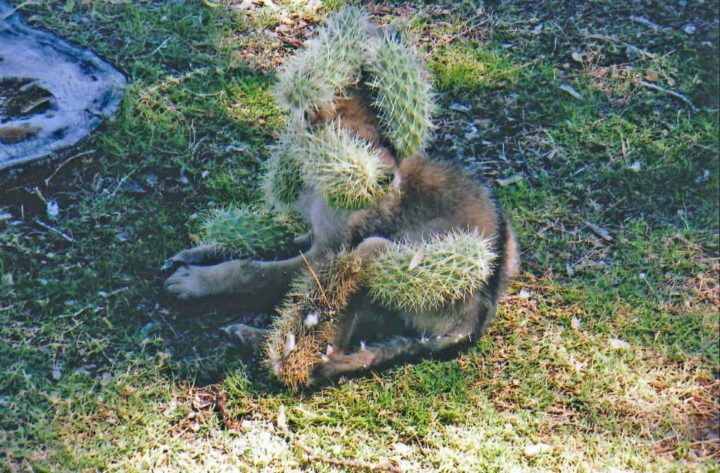 But as she approached the creature, she couldn’t believe what she was seeing… the animal, whatever it’s identity, was covered in cacti! 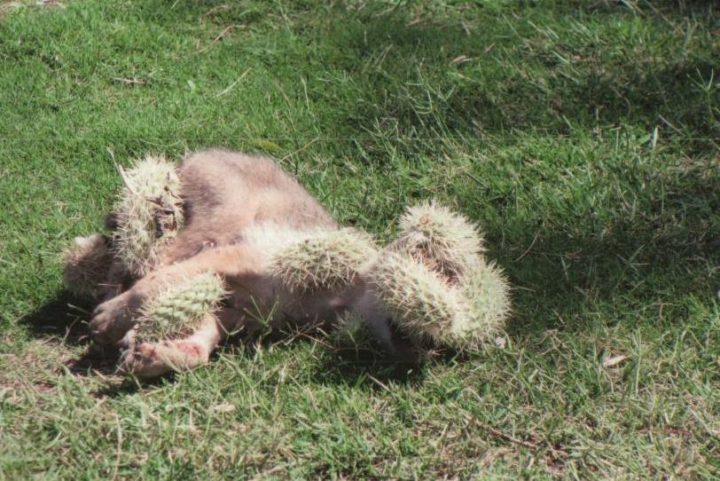 Closer inspection revealed the cacti covered creature was no dog at all, but a barely weeks-old coyote pup. 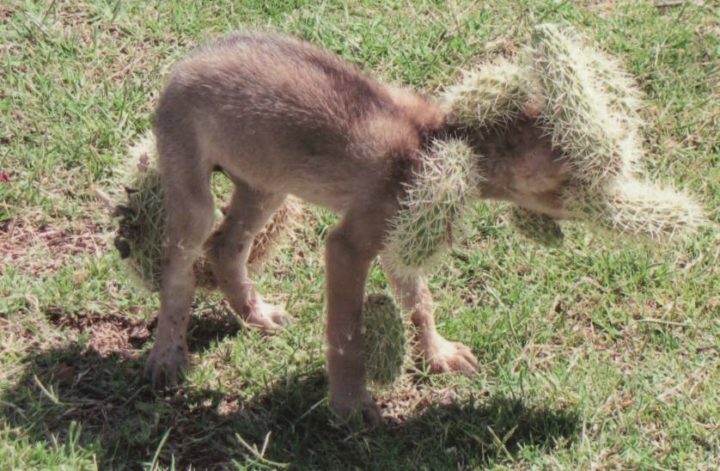 The coyote was totally encumbered by 7 huge clumps of chola cacti that were stuck to his legs, shoulders and face. 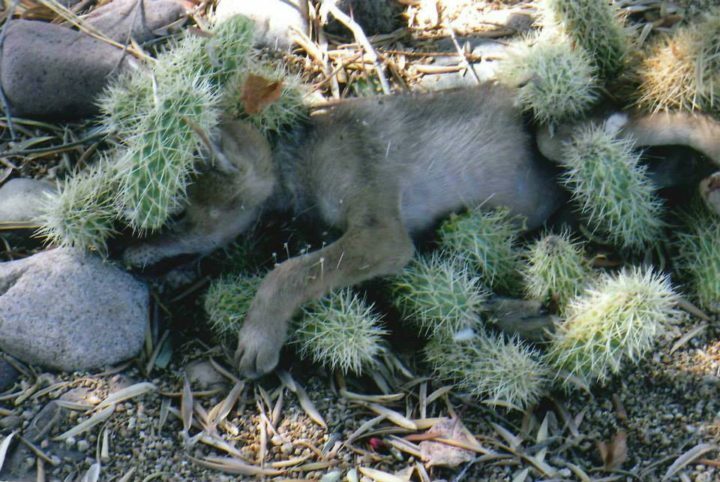 Gwen rushed to get a neighbor’s help when the little one finally collapsed in the heat, “He’d get up and tumble around with all those chollas on him, and it was just so heartbreaking,” she said. 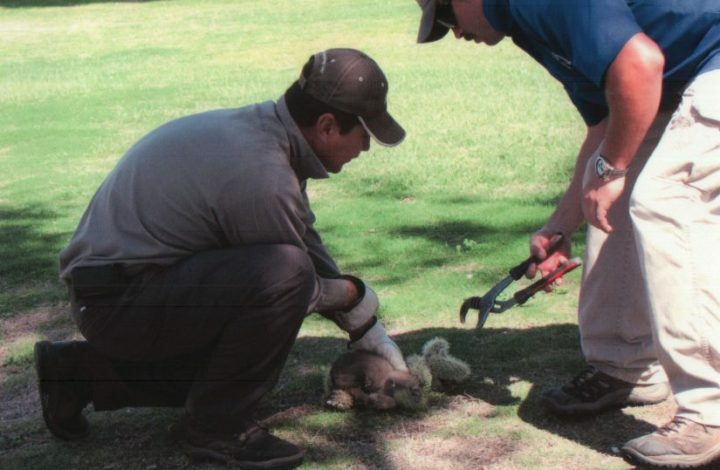 Two men from the nearby golf course finally arrived and they began to hatch a plan to free the helpless animal. 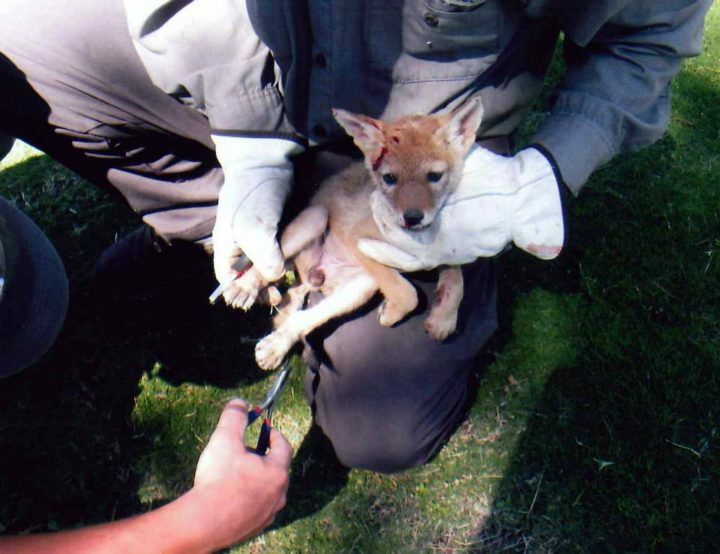 With a pair of heavy gloves and a set of pliers, the duo slowly began to pull the prickly prison from the coyote’s fur. 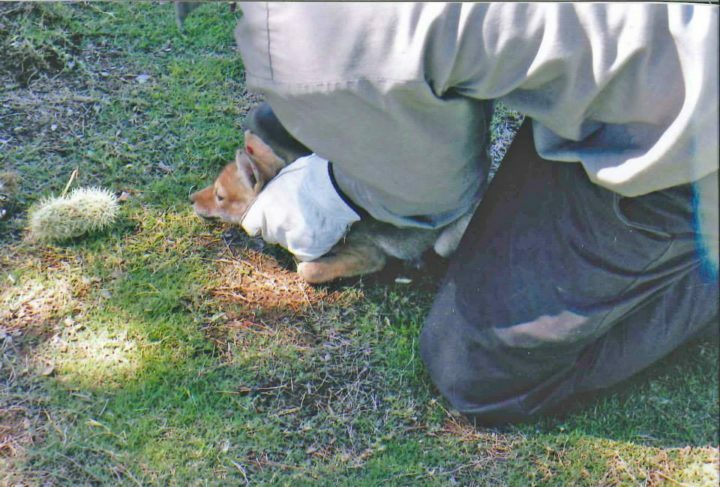 The brave little pup was ‘amazingly calm’ during throughout their ordeal. He didn’t bite or make a sound. Finally freed from his prison, the little guy was cute as can be. Though he was a little bloody and bruised. 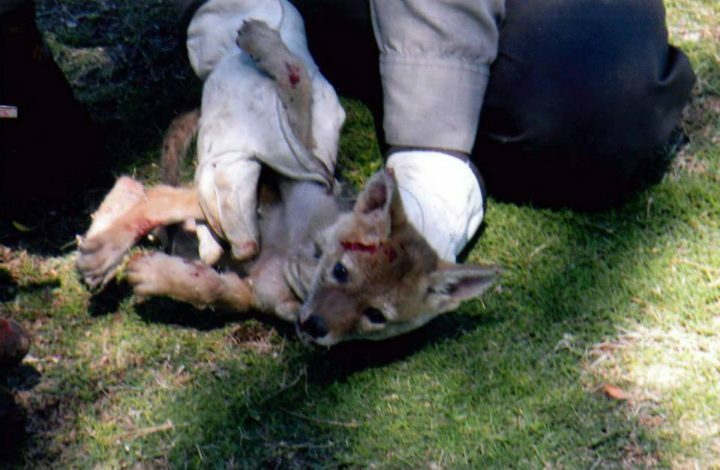 The little coyote would be just fine. 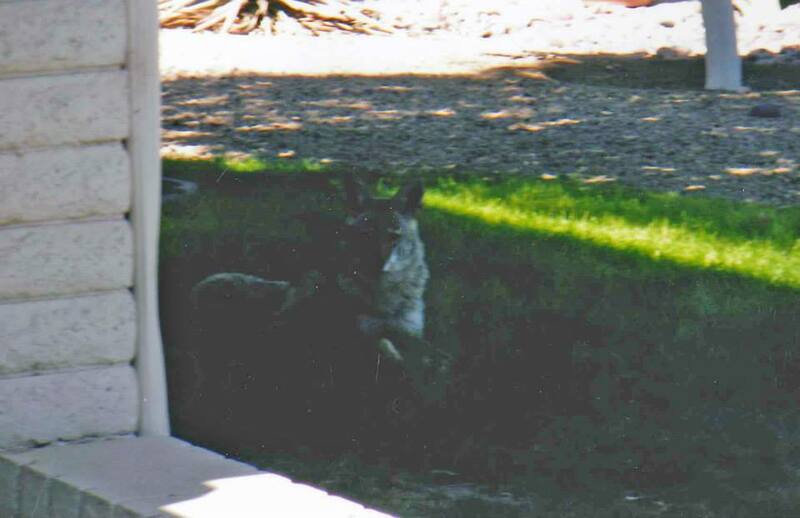 After snapping a few quick pictures, the men let the little coyote pup on the ground and watched him run straight to mom. As they disappeared into the brush, no one could deny they’d just witnessed something beautiful. We’re so thankful Maxwell and her friends were there to help! Whenever you can, lend a helping hand.